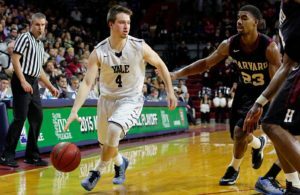 Jay Swift played three seasons on the Yale varsity basketball team. That, in itself, was not a remarkable accomplishment. 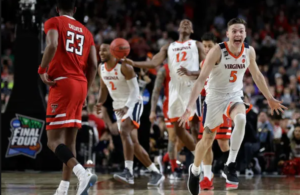 It was significant, however, because he appears to have been the first African-American to suit up in a game uniform for what was always a primarily white, preppy institution for the privileged. Swift was born in Manhattan, New York, on January 29, 1926, graduated from Townsend Harris High School, and was living in St. Albans, NY, at the time he entered Yale in the fall of 1944. While most followers of Yale sports history are under the impression that Levi Jackson was the first Black to compete in any sport for that college, it was Swift who predated the New Haven legend by a few years. Although Jackson was the first to play football (and to be elected captain in 1949), and records are not kept by Yale in this area, Swift was likely the earliest to participate in any sport at that prestigious institution. Yale, which was founded in 1701, had hardly any African-American students through the 1940s. Swift was the only one among the civilian undergraduates at the time he entered in the fall of 1944, just four or five were on the campus under the Navy V-12 program. During World War II, Yale was in session full time. Swift, like others, obtained his degree in about two a half years. He graduated in March 1947, although his biography appears in the 1948 Classbook. It reveals that he was known on campus by the nickname of Swifty. He was an English major and a member of Timothy Dwight residential college. A good athlete, Swift played intramural sports for Timothy Dwight. He was on its football team in 1945 and 1946 and on its crew as a junior. 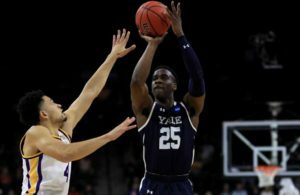 But it was as a player on Yale varsity basketball teams that he achieved the distinction that is the subject of this article, written in observance of Black History Month. 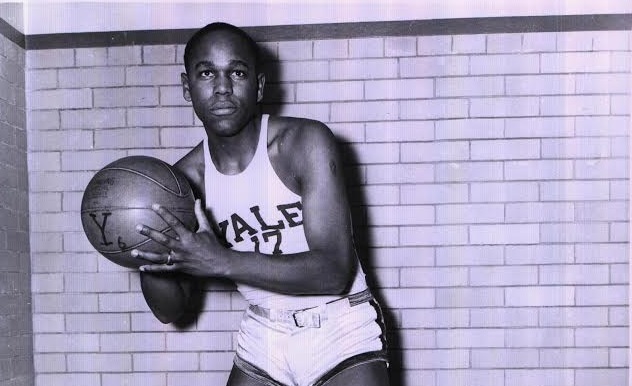 In the season of 1944-45 Swift, made his historic debut in a Yale uniform. He appeared in 14 games, scoring a total of 20 points on nine field goals and 2-out-of-3 fouls. It was nothing great, except for the fact that he actually was on the team and he was an African-American representing a great college. In that Yale win over the “Uconns”—as they were then called—Swift was the player whose six consecutive points brought the team total to the record high of 79. In the final minutes he made three baskets after a teammate, Charley Johnson, tied the mark at 73. Swift scored nine points that night, as Yale concluded a 14-4 season. In game programs this writer preserved from the season of 1945-46, Swift is listed on the roster as a guard, standing 6-0, weighing 180 pounds. Paul Walker, a three-sport star who would go on to play pro football for the New York Giants, was then a senior and captain of the basketball team. He was joined on the court by freshman Tony Lavelli. Featuring a spectacular hook shot, Lavelli was arguably the greatest pure shooter Yale ever would have. Another member of that squad, Bolt Elwell, also played football and baseball. Unlike Walker, but similar to Jay Swift, Elwell only got into games off the bench. In his final season playing for Yale, 1946-47, Swift’s game program height was increased from 6-0 to 6-1. He played in only six games and went scoreless. He may have been injured. Or it was just too difficult to get much playing time on that team, one of Yale’s best ever. Coach Red Rolfe, former New York Yankees star, who coached both baseball and basketball at Yale, favored keeping the starting five on the floor as long as possible, using only one or two substitutes in most games. Being a student of color at lily white Yale in the 1940s was not easy. It is hard for us around New Haven today to accept the fact that Swift and three classmates were once asked by the manager of George and Harry’s, a popular eating and drinking spot on Wall Street, to leave the premises because blacks were not allowed there. During World War II Yale was in session full time. Swift, like others, obtained his degree in about two a half years. He graduated in March 1947, although his biography does not appear until the 1948 Classbook. After obtaining his degree in March of 1947, Swift had a sometimes stormy career in public life for his native New York City. When he was commissioner of the Addiction Services Agency he was sharply criticized by the city controller, Abraham Beame, for alleged mismanagement. He held that position until he retired in 1983, after which he became a special consultant to the Queens (New York) District Attorney and to the Ad Hock Review Committee of the National Institute of Mental Health. 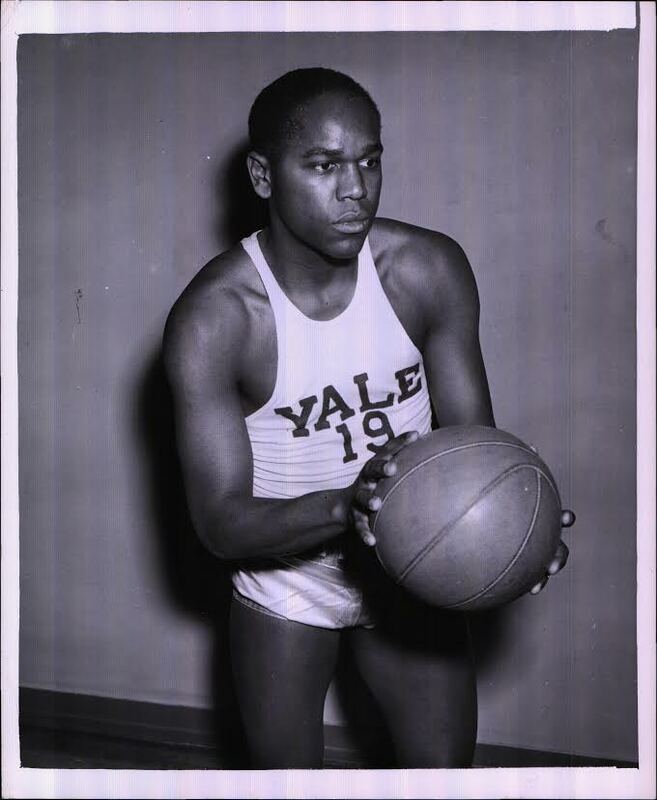 Jay James Swift was a member of the Yale varsity basketball team for three seasons, was awarded a coveted letter “Y” for each of his last two, and is believed to have been the first African-American athlete at Yale. He died of cancer at the age of 62. He left a little known yet permanent place in Yale sports history.